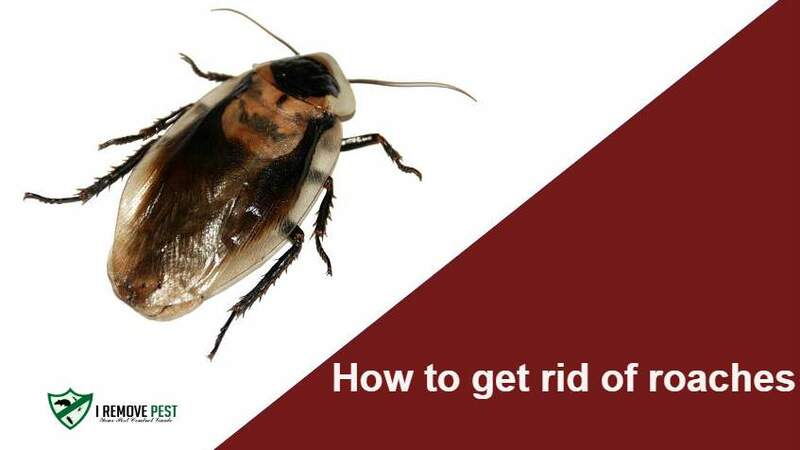 →How to get rid of roaches for good? Cockroaches are probably the most common pest that you may come across in your home space and they are definitely not that easy to get rid-off. These pests although tropical in origin can even be seen in the temperate zones across the globe. World Health Organization (WHO) terms roaches as "unhygienic scavengers in human settlements" and that pretty much defines how annoying it can be to have roaches running around in your kitchen, attic, or in your entire home space. Where there is food, there is bound to be roaches! They live in groups, are active during the night time, and live in spaces where there is considerable moisture, warmth, and food, which could basically be your home. They normally venture in the night to search for food in food storage places, kitchens, rubbish bins, and even sewers and drains. Why you should get rid of cockroaches from your house? How big is the cockroach problem? The first question to ask is – how did I get a roach in my home? The only thing that attracts these extremely resilient pests to your home is food. Sometimes your food storage areas may look clean on the outside but when you are fast asleep, the same place turns into an insane "all night party" place for the roaches. Guess what? These pests can actually survive for a period of 3 months without eating. What makes the situation bad is that it can be quite hard to find them. They hide in just about any nook and corner of your home. If there are any dark, damp, and wet places in your home then that is definitely the best hideout for roaches. Once a roach moves into your home, then it will invite others, and they will hatch hundreds and thousands of eggs and you will end up with a full blown infestation. A female cockroach can lay almost 10 to 40 eggs at a time and lays almost 30 batches of eggs within her lifetime. Normally a cockroach can survive for a period of 12 months. Roaches are not just smelly pests that have the capability to cause a large infestation in a short time but what makes a roach infestation a really bad idea is that they can be carriers of several diseases. Cockroaches are known to spread a variety of diseases although they are not considered to be direct vectors of such diseases. They only act as a reservoir. Transmission takes place when someone consumes items contaminated by cockroaches. They are also known to trigger asthma as well as other allergies and are instrumental in spreading Staphylococcus aureus, E.coli, and Streptococcus. Hence, it is extremely important to get rid of cockroaches as soon as you spot an infestation. Roaches are there in your home in the first place because they are attracted to food or food residue and especially grease. So, the first step is keeping your home and especially the kitchen and food storage area clean. This simply means that each night you will need to wipe counter and countertop, clean dishes, sweep floors, and just about sweep through the food storage area. The next step is to seal up those nasty cracks in the walls. Whether the cracks or holes exist on the kitchen walls or between the countertop and the wall, they are practically the home for roaches as well as other insects. You can use a caulking gun or a caulking tube to do the sealing job. Cockroaches tend to live or hide in areas where there is higher moisture content and water and that includes leaking pipes. This is one of the reasons why you will find them in large numbers right under your kitchen sink. They can survive for long durations without food but they will not be able to survive too long without water. Hence, it is important to repair the leakages. Once you have taken care of the leakages and cracks it is time to move onto the second line of action, which is to get rid of the roaches once and for all! You have to kill them or remove them from your premises otherwise they will keep laying eggs till you have an uncontrollable infestation on your hand. Gel bait as the name suggests comprises of a gel mixture with the primary ingredient being an attractant as well as a killing agent. It is most commonly applied using a syringe although aerosol cans and bait gun tubes can do the job as well. Gel baits are highly economical, stay moist for a longer duration, can be applied with ease, and is recommended for smaller home infestations. These baits are available in granular form and are meant to exterminate bigger outdoor roaches in attics, void spaces, and basement. The granular baits can cover a larger area but they cannot be exposed to moisture or water. These have been created primarily for indoor applications and comprise of a pesticide (killing agent), an attractant, and the station itself, which is an enclosure holding the attractant and pesticide. The most commonly used killing agent in bait station is boric acid and Fipronil. These stations are made from plastic or cardboard or a mix of both. The cockroach spray is one of the effective ways of getting rid of the infestation. Some of the sprays are repellants while others are exterminators. The roach spray is available in different quantities and depending on your need like indoor area or perimeter treatments around structures, you can invest in the same. The primary ingredient in sprays are normally toxic in nature and may include Fipronil, Avermectin, Borates, Neonicotinoids, and Pyrethroids among others. Insecticides are one of the best roach killers on the market, But they are mostly highly toxic in nature due to their chemical composition and may cause mild harm to the eyes, nose, or skin when using them. Insect Growth Regulator is a chemical substance that interferes with the life cycle of roaches and other pests. They help largely in controlling large populations or infestations and inhibit the growth of roaches. They are often used as a stand-alone product or with other insecticides. They are available in the form of aerosol sprays and impregnated materials. Neonicotinoids is a new class of insecticides that affect the central nervous system of roaches, which resulting in paralysis and death. The most commonly used Neonicotinoids include acetamiprid, imidacloprid, dinotefuran, clothianidin, thiacloprid, nithiazine, and thiamethoxam. They are available in the form of gels, aerosol spray, granular solutions, and impregnated materials. Pyrethroid is an insecticide that is an active ingredient in over 3,500 registered pest products. They are synthetic chemical insecticides and considered to be highly toxic to aquatic organisms. They work by preventing the closure of the voltage-gated sodium channels in the axonal membranes, which leads to paralysis in roaches and ultimately causes death. Some of the commonly used Pyrethroids include Permethrin, Allethrin, Cyfluthrin, Tralomethrin, Bioallethrin, Cypermethrin, Esfenvalerate, Deltamethrin, Tetramethrin, and Cyhalothrin. They are available in the solution, granular, and aerosol form. Got a large infestation of roaches that you can’t handle? Call in the experts, most commonly known as the exterminators. Why do you need the experts? Most often than not, it can be quite a tricky and complicated affair to ensure your home is completely rid of roaches especially when there is a large infestation. At such a time, a single type of treatment like spraying insecticide or cleaning doesn't work. The only thing that will work is a "complete solution" that combines all the roach extermination methods. This is exactly the reason, professionals need to be hired. They possess knowledge of different type roaches that may be causing havoc like American cockroach, Oriental, Smoky brown etc. Based on the identification of the type of infestation, they can provide tailored solution for your home. They will not only aid in exterminating roaches but also use some of the state of the art eradication methods and products to destroy their nest and disrupt the life cycle. The roach extermination experts will also schedule follow-up visits to ensure a "roaches free" zone. Going the natural way is always the healthy way especially if you have children and pets at home. There are many people out there who are also allergic to a variety of chemicals especially the ones used in insecticide formulations. So what does the natural way comprise of? It comprises of using herbs and home based remedial methods and techniques. Cleaning using detergent and vinegar is also one of the natural ways. Let's take a look at some of the home remedies that you can try at your home. Note: Home remedies work great for small infestations only. There are a variety of home remedies that can help you to clean your home off cockroaches and the best thing is that it can be done using easily available ingredients. It always pays to go the natural way and this combination is often known as the most effective natural cockroach bait. You can actually create bait at home by mixing 3 parts of boric acid with 1 part of powdered sugar. Roaches are attracted by sugar while boric acid kills them. You can sprinkle this mixture around the food storage area like under kitchen sinks or behind the refrigerator. Garlic powder and bay leaves have strong scent that is known to repel roaches as well as other household pests. You can boil bay leaves along with garlic powder and spray the concoction in all the dark and damp crevices where roaches hide. Moth balls have been in use from time immemorial and are a good pest repellent. They can be kept in cupboards and areas of roach infestation. You can easily create a smart trap using petroleum jelly. You can leave food in jars with the rim covered in petroleum jelly. When the roaches come for food they will be trapped. Lemon is known to have anti pathogenic properties. You can mix lemon juice and water to create a solution or spray. The spray can be used in roach hideouts and the solution can be used to mop kitchen countertops and floors. This is a silent killer. All you need to do is sprinkle a pinch of borax near crevices, inside cabinets, under the sink and near the pipes in your kitchen or food storage area and bathrooms. You need to leave it overnight. Roaches that come in contact with borax will die of slow poisoning. Most affected roaches will take it to their nest and end up killing other roaches too. Roaches love the smell of caffeine and you can use it to trap and drown them. Take a jar and fill the bottom with coffee powder to lure them. Keep the jar under a tap. The moment roaches come in numbers, fill it in water. Another roach killer is soap solution, which can be sprayed into the nests and also directly onto the roaches. Soap solution clogs the pores making it almost impossible to breathe. Catnip or Nepeta cataria is a plant species that contains a chemical called nepetalactone. This chemical plays a vital role in keeping roaches away from your home. Placing catnip near roach entry points will repel them. Although essential oils have numerous healthy uses they can also be quite effective in repelling and killing roaches. Some of the most commonly used essential oils include peppermint, Cypress, Tea tree, and Eucalyptus. One of the highly effective and most recommended solutions is creating a mixture of saltwater, cypress oil, and peppermint oil. You can spray this mixture near roach hideouts and around your home. Yes. Re-infestation of roaches can take place even after you have painstakingly cleaned your home. The thought itself is nightmarish and hence it is always necessary to take some necessary steps to ensure re-infestation doesn’t occur. After, all roaches want good food and a great damp place to stay and every home out there offers both. ​Roaches are one of the most annoying guests you can ever live with and they can enter your home from just about anywhere including windows and drain pipes. It is important to ensure your home is roach free as they are indirect carriers of diseases and obviously they can be quite a nuisance. 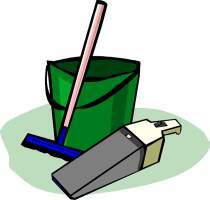 You can use all of the above or some of the above procedures for keeping your home clean and the immediate environment healthy.